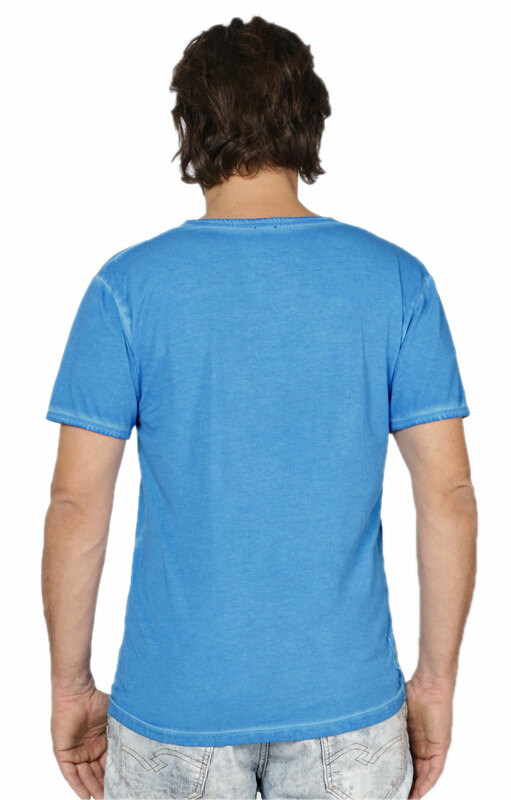 Blue Traditional T-shirt. 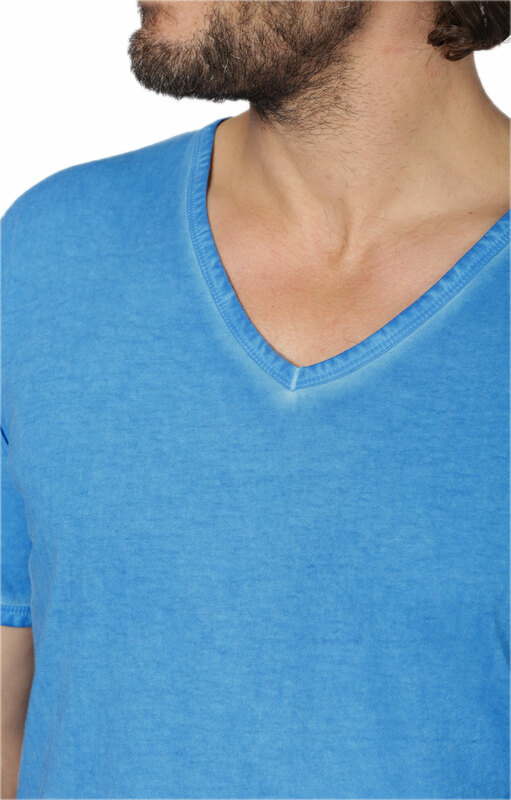 A good-quality T-shirt is an absolute essential in anyone's wardrobe, and this pure cotton, V-necked tee from Stockerpoint is just what you need. 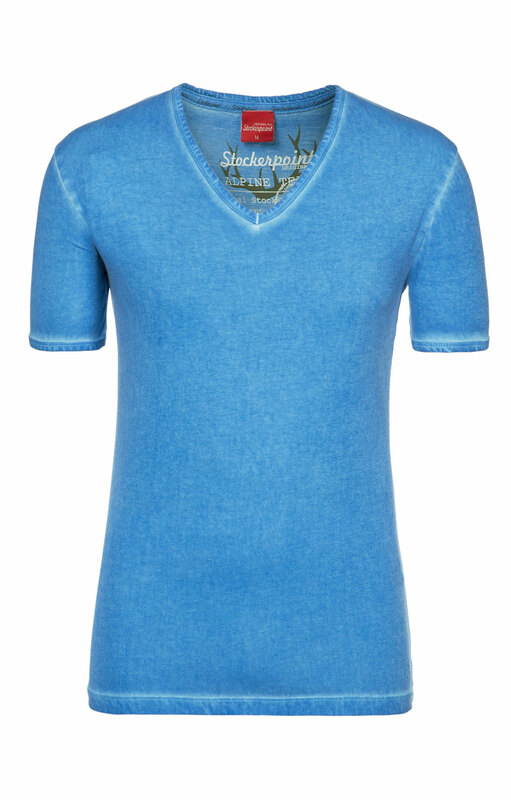 In a flattering shade of blue, and with a lightly fitted shape, it will look equally good with shorts, denims, a traditional outfit or a casual jacket. The length is right for wear outside or tucked in, and the sleeves are also a good length for when a smarter look is required. 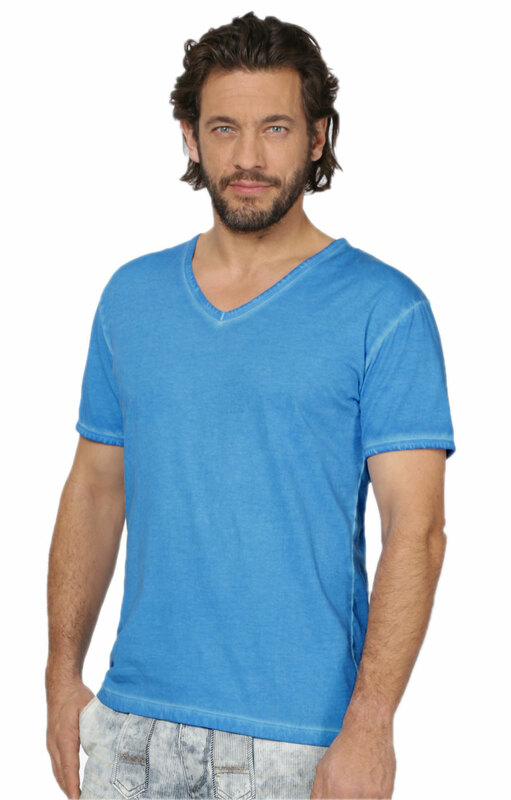 The neck, sleeves and hem are neatly top-stitched. 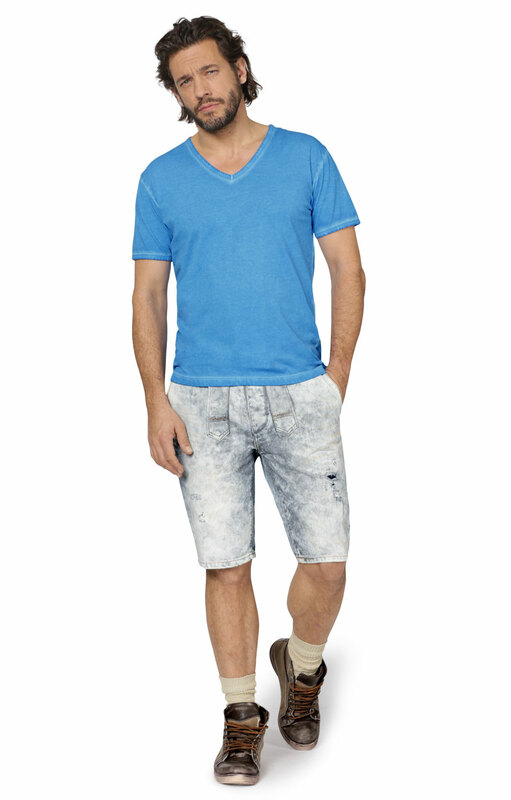 This classic tee combines style and comfort, whether at home or on holiday. Die Qualität und Verarbeitung ist sowie auch das Preis-Leistungsverhältnis.